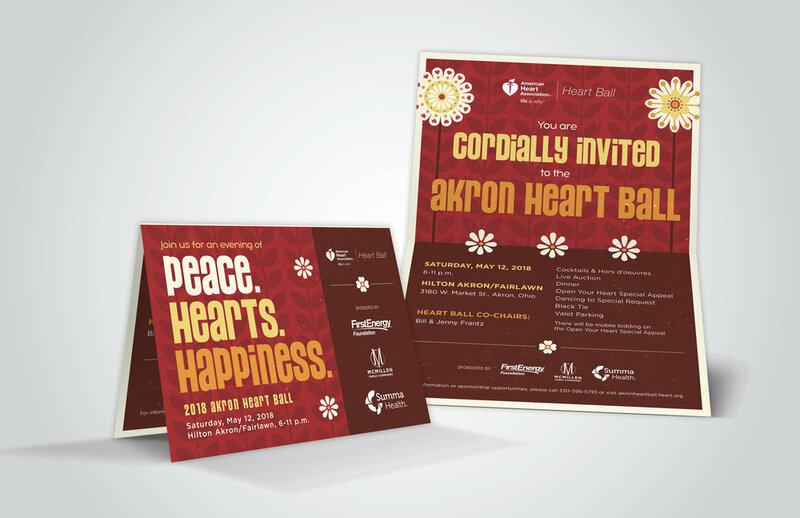 The Heart Ball is a beautiful and elegant fundraiser for the American Heart Association. 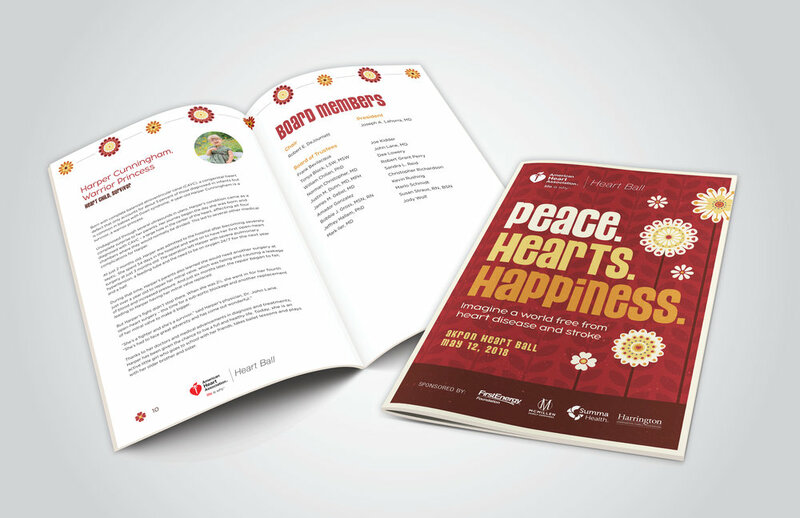 GO2 has provided AHA with various collateral materials for a number of years for their annual Heart Ball, and were asked again to provide a theme and materials for the 2018 gala. Previously the event has always taken place in February, with a heart focused Valentine theme. This year the event was held in the spring, giving more opportunities to expand the concept into something more unique than year’s past. Spring is the season of promise and the ‘60s was the decade of love. So, what better way to celebrate the hope and passion embodied by the AHA and its supporters than with Peace, Hearts and Happiness? It’s the perfect fusion of good vibes and a great cause, inviting attendees to embrace the desire to make the world a better place. Working with the established theme, I designed a save the date, invitation, program booklet and posters. This design is a modern take on the free-spirited optimism of ‘60s flower power infused with the heart of the AHA’s mission. I also worked directly with the American Heart Association and our internal video team to art direct an on-location video shoot for the 2018 Heart Ball honoree, Harper, a young girl born with down syndrome and an AV canal heart defect.